One bedroom units have 1 double bed in the bedroom, ensuite bathroom and 2 single beds in the lounge. 32" LCD TV. Kitchen with cooking facilities, dining table and chairs, microwave, tea/coffee making facilities, fridge, Sky TV. FREE off-street parking. FREE wireless internet. Double bed in bedroom, two single beds in lounge. 1 double bed in the bedroom, ensuite bathroom and 2 single beds in the lounge. 32" LCD TV. Kitchen with cooking facilities, dining table and chairs, microwave, tea/coffee making facilities, fridge, Sky TV. FREE off-street parking. FREE wireless internet. 1 double bed and 1 single bed, ensuite bathroom, fridge, tea/coffee making facilities, toaster, microwave, Sky TV, LCD TV. Free off street parking. Free wireless internet. Double studios have one double bed, an ensuite bathroom, fridge, tea/coffee making facilities, toaster, microwave, SKY TV, LCD TV. Free off street parking. Free wireless internet. 1 double bed. Ensuite bathroom, fridge, tea/coffee making facilities, toaster, microwave, SKY TV, LCD TV, Free off street parking. Free wireless internet. Ground floor access studio unit with a double bed and a single bed, ensuite bathroom, tea/coffee making facilities, fridge, toaster, microwave, SKY TV LCD TV. Free off street parking. Free wireless internet. It is one of our twin studios. Our motel is conveniently situated for all your travel requirements, whether on holiday, business or for a hospital appointment. We are recommended by the Wellington Hospital and close to Southern Cross Hospital and Wakefield Hospital. Our comfortable units are tastefully decorated, offering studio units and 1 bedroom units. We invite you to stay at Adelaide Motel where we will assist you to make your stay comfortable and enjoyable. Laundry and fax facilities provided. Cot available if required. All units have ensuite bathrooms, tea and coffee making facilities, phones, Sky TV, electric blankets, and heating. Units are serviced daily. Breakfast available. 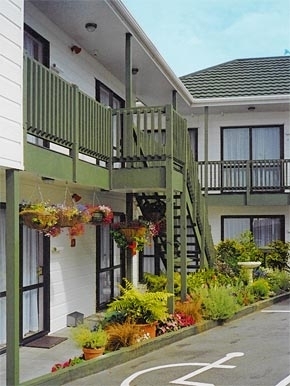 Easy walking distance to Wellington Hospital & Southern Cross Hospital, Medical School, Te Whaea National Dance & Drama Centre and South West Stadium. 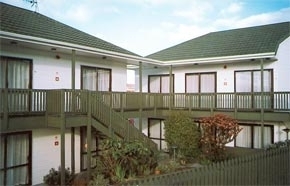 Only a few minutes by car to Wakefield Hospital, Mary Potter Hospice, Massey University, Wellington Zoo, Government House. Within 10 minutes drive to Wellington Airport, Interisland Ferry, Westpac Stadium, Te Papa Museum, Rail Terminal. Cancellations must be made within 48 hours of the booking. Cancellations made past this time will incur a charge of one night of the booking.